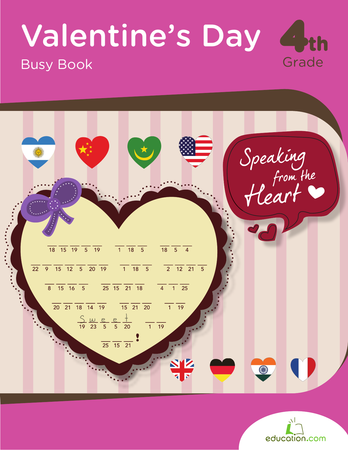 Looking for a simple yet unique writing activity for your child on Valentine’s Day? 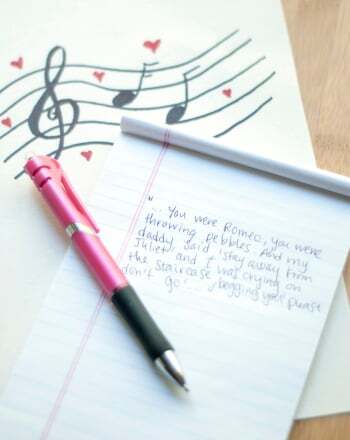 Why not have her try her hand at Writing poetryIn the form of a valentine haiku? Haiku, dating back to 17th century Japan, are brief, 3-line poems that follow a strict syllabic pattern. Haiku poets often focus on simple subjects, but choose their words very carefully. With so few syllables, each word in the poem is meaningful. Challenge your child to consider her word choices carefully, and think about how each word adds to the meaning of the poem. 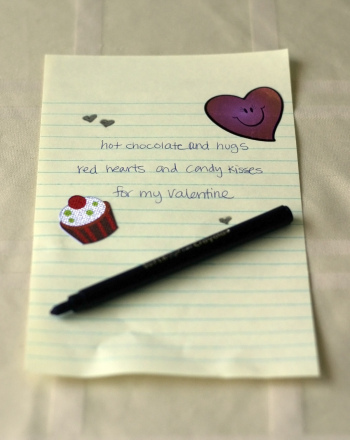 Begin this activity by having your child brainstorm a list of things that pop into her mind when she thinks about Valentine’s Day (hearts, cards, love, candy, etc.). 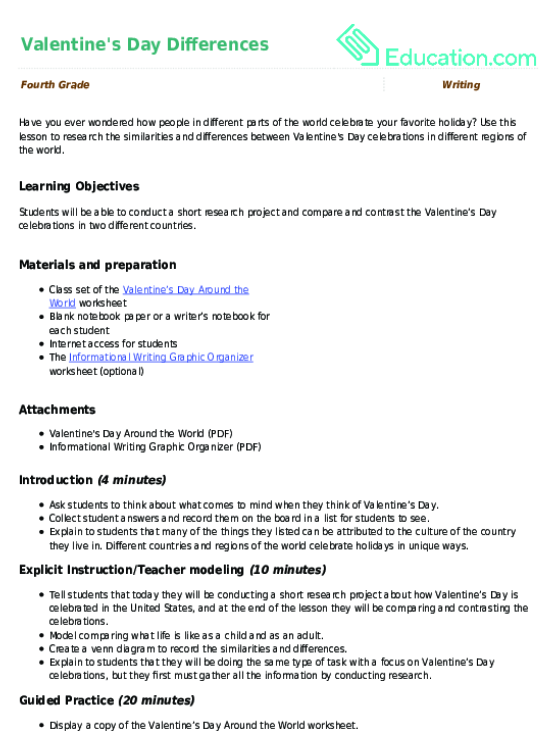 After completing this brainstorming activity, review with her the haiku format. Haiku has three lines, one right after the other. Each line has a certain number of syllables: the first line has five syllables, the second has seven, and the third has five. Inform your child that there are no firm rules regarding capitalization and punctuation in English haiku, and that her haiku lines don't have to be in complete sentences. Before she begins writing her poem, you may want to review some simple syllable counting with her to ensure that she is confident in this skill. Next, have her select a few items from her brainstorming list that she would like to include in her poem. Writing haiku is fun for all ages. Work together writing as a family and see who can write the best or the silliest haiku. Before you know it your little one will be a poetry master. 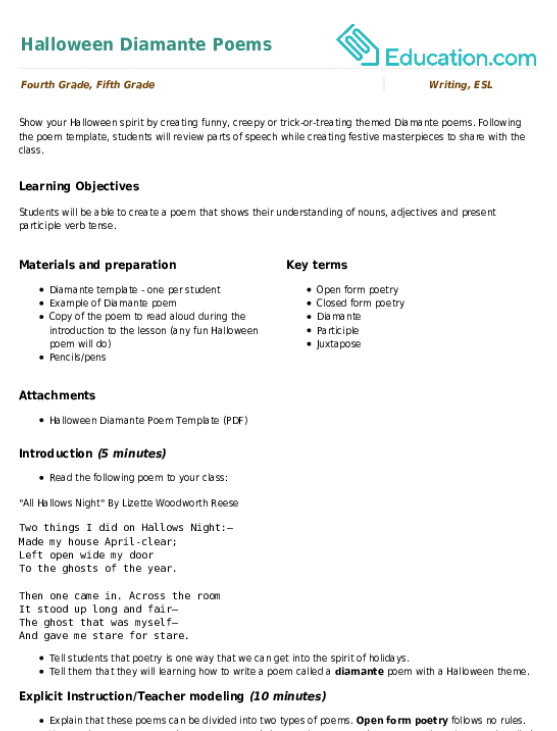 Mix a fun with zen in this haiku activity! Students will practise writing about everyday objects in the style of haiku. Budding writers can find their inner zen and build creative writing skills by practising some haiku poetry. 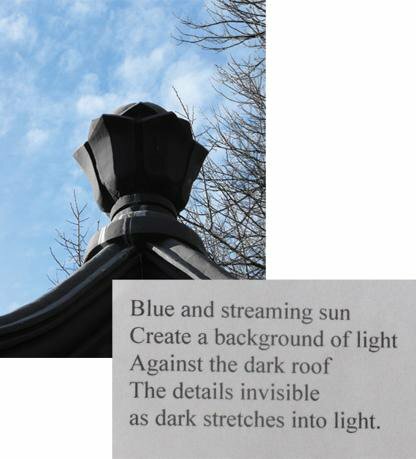 Use this haiku worksheet to add a written element to any afternoon outing in nature.